​Company: Ampex Data Systems, Inc. 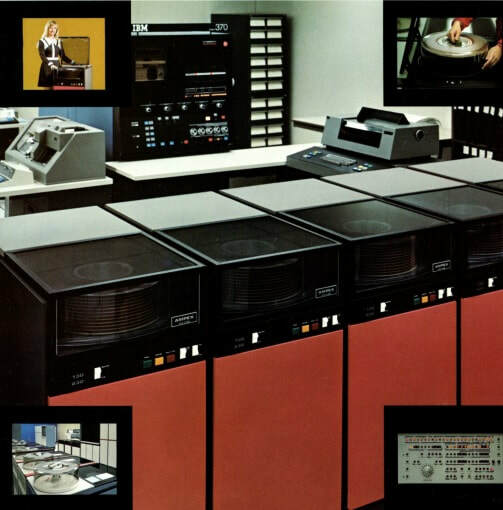 Specialty: reel to reel audio tape recorders, video recorders, instrumentation recorders, and data recorders, Disk drives. 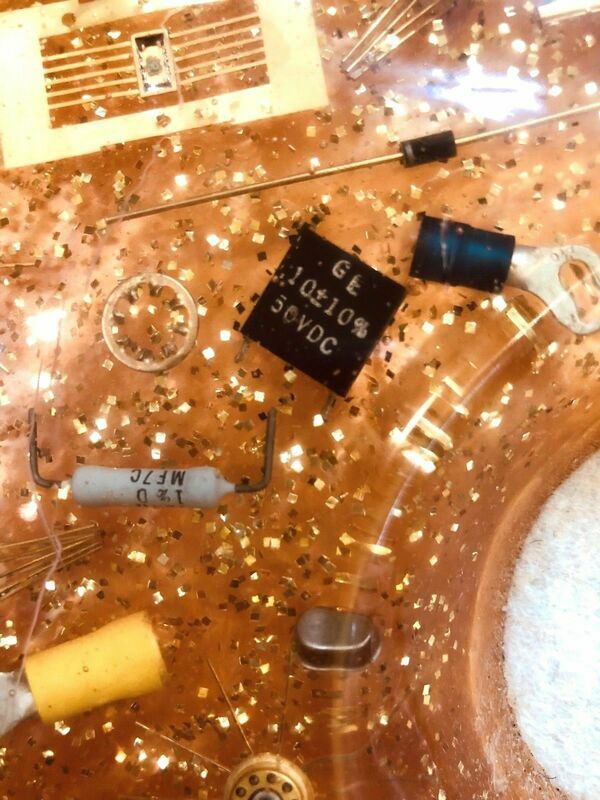 Airborne Solid State Recorders, Machine Learning and Cyber Security Systems. 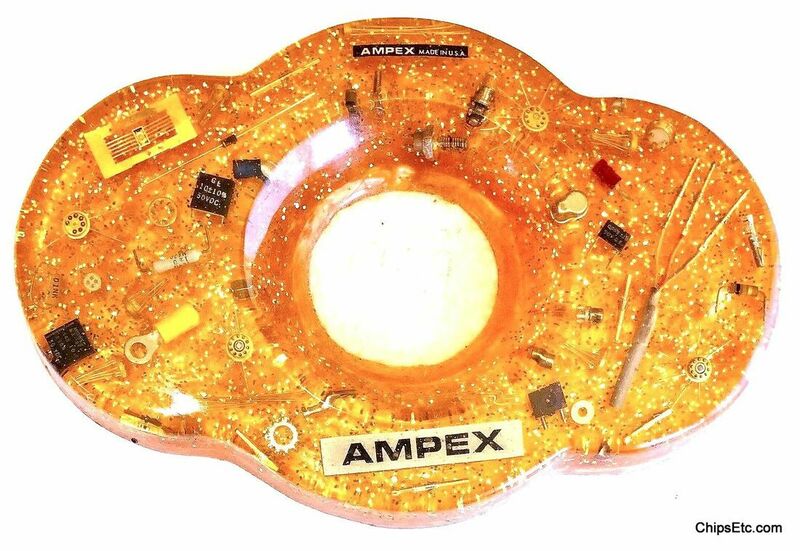 ​ This Acrylic piece contains numerous components used by Ampex embedded inside, including Integrated Circuits, discrete electronic components, and hardware items.